TownFolk, in partnership with Whole Foods Market and Whole Cities Foundation, is proud to bring a weekly fresh produce market to residents of the LaPlace neighborhood. Fruits and vegetables from the Victory Garden and Whole Foods Market are provided to our neighbors free of charge while supplies last every Saturday beginning at 10:00 in the morning at Victory Garden. Every TownFolk Table begins with produce pick up at Whole Foods Market using our trusty trailer funded by our grant from Whole Cities Foundation. Volunteers then meet at Victory Garden to begin separating produce evenly and preparing for distribution. Volunteers deliver to the homes of elderly and disabled residents of the LaPlace neighborhood, while others distribute bags of fresh produce at Victory Garden. We use this weekly opportunity to connect with our neighbors. Click here to volunteer for TownFolk Table! 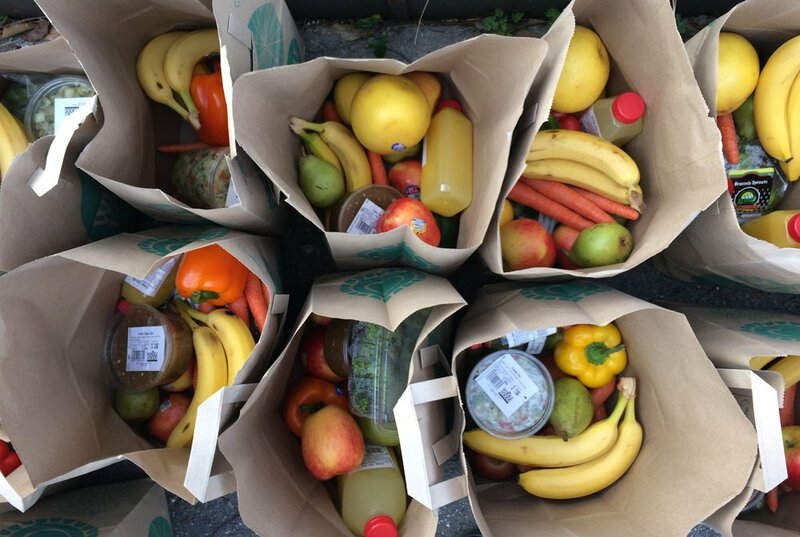 We have different slots available for produce pick up at Whole Foods Market, produce distribution at the Victory Garden, and produce delivery in the neighborhood for each Saturday. Join us sometime and bring a friend!